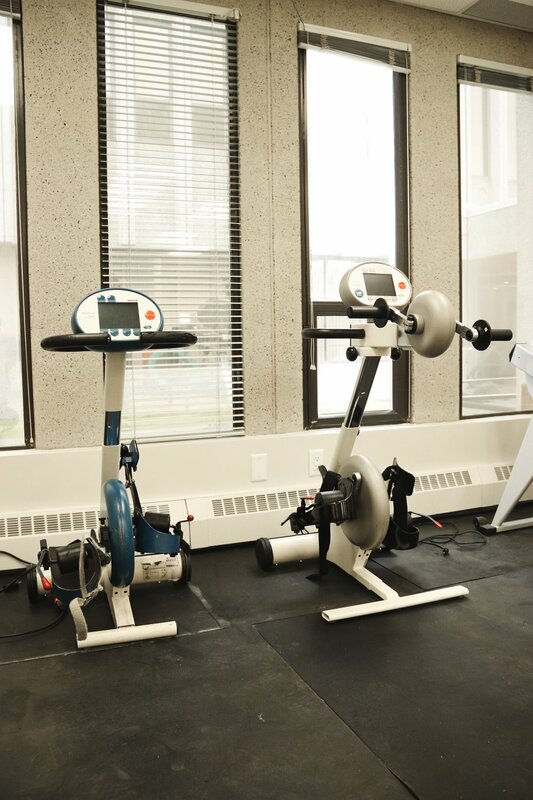 MOVE is unlike any other fitness facility! We offer support through our volunteers, as well as adaptive equipment to fit anyone’s ability and function. We can’t wait to see you in the gym! The Motomed arm or leg trainer eases spasms, strengthens muscle mass, improves mobility, increase circulation, and reduces edema. 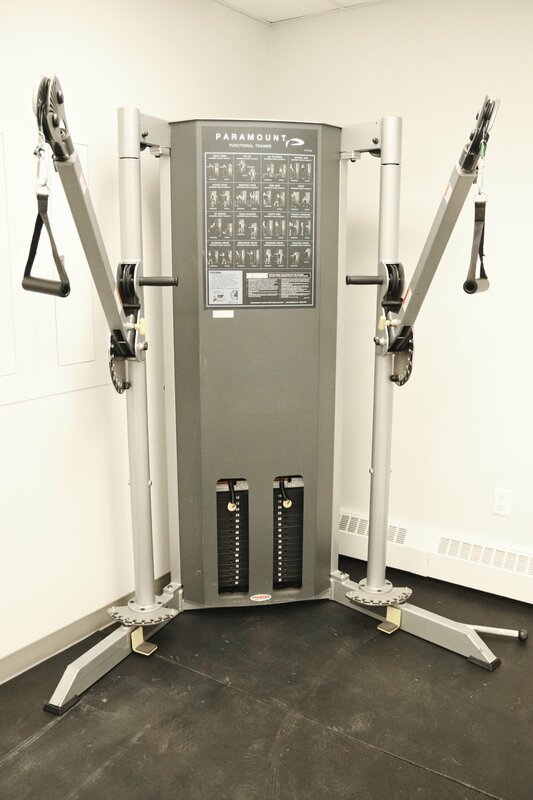 The NuStep provides a total-body cardio and strength workout, which supports healthy heart and brain function. 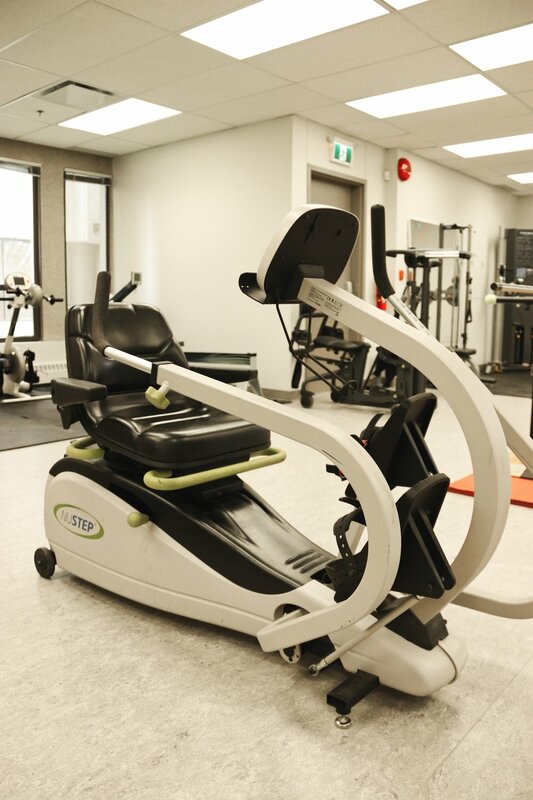 Regular exercise on our cross trainer can also help build and retain muscle mass while increasing flexibility and range of motion. 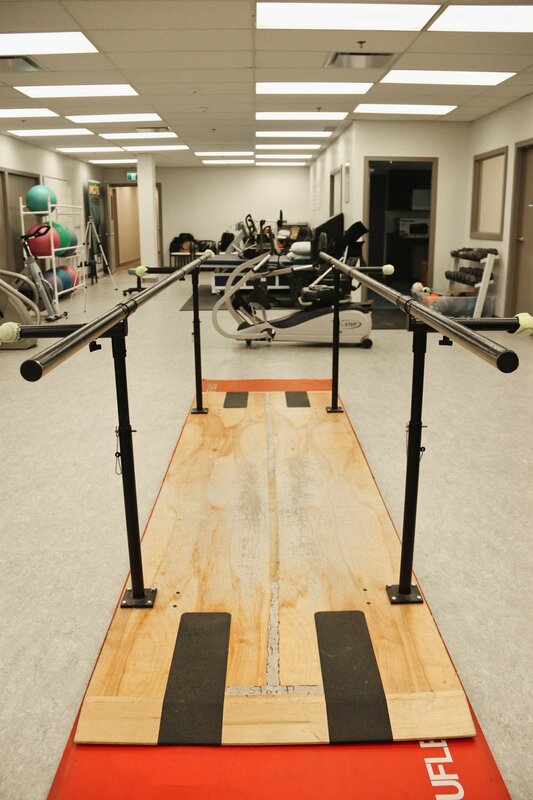 The Parallel bars assist individuals with gait training, as well as to regain balance, strength, range of motion, and mobility. 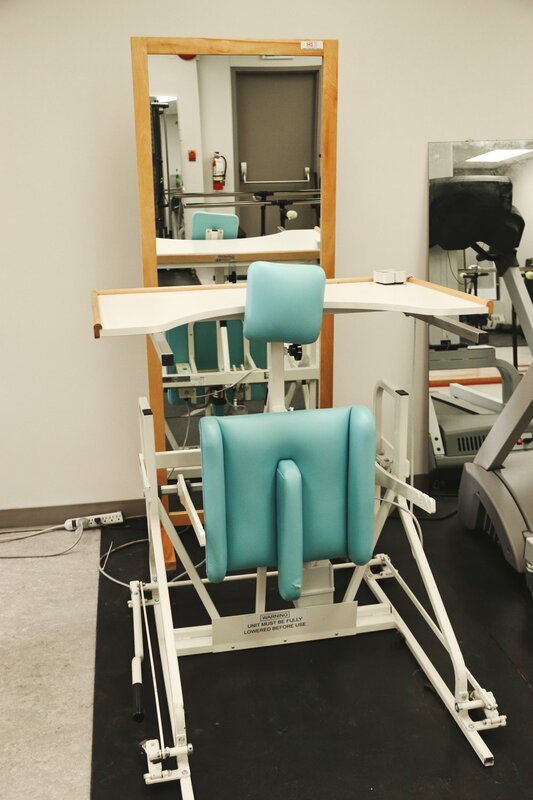 This machine allows individuals to engage in resistance training within their unique range of motion. 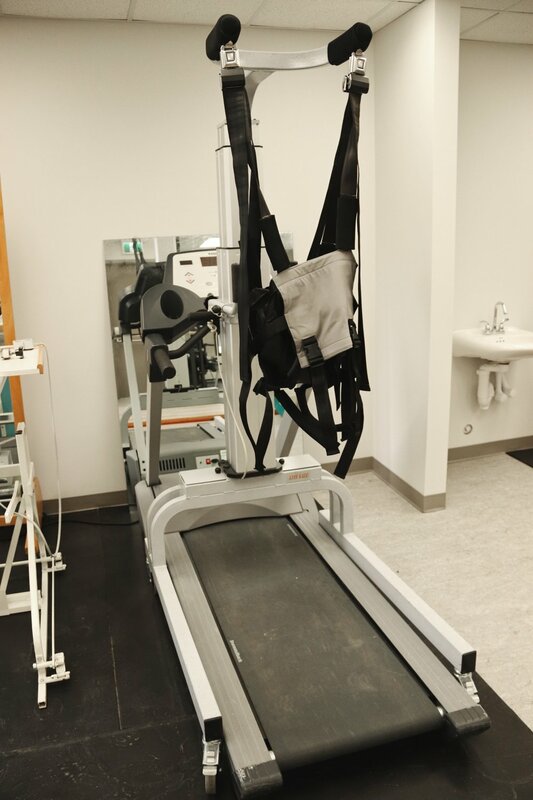 The standing frame provides support for those who cannot stand independently. Standing may improve bone density and overall strength. 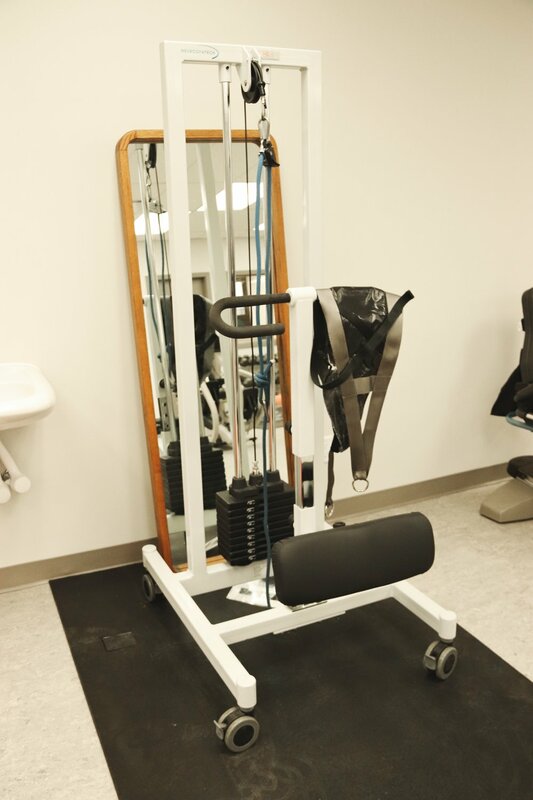 The counter weight assists individuals transition from a sitting to standing position, and, in turn, may improve mobility and lower body strength. The harness supports those who are not able to carry their own weight when walking. By doing this exercise, individuals may increase cardiovascular fitness.